Hello all! 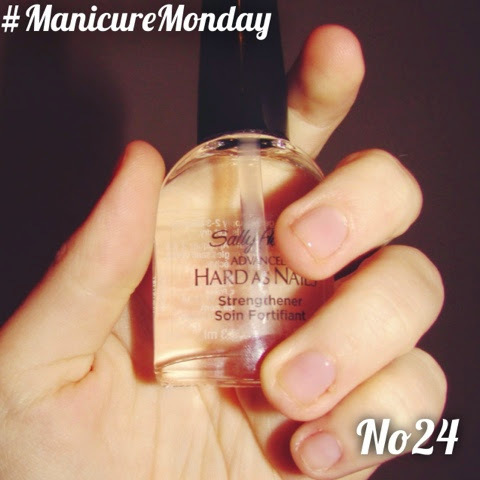 This week I've left my nails almost completely bare wearing Sally Hanson 'Hard as Nails' nail strengthener. It's quite obvious my nails aren't in the best shape, in the summers I can use the excuse they're brittle due to all the seasalt I come in contact with but during the school year I really have no excuse. 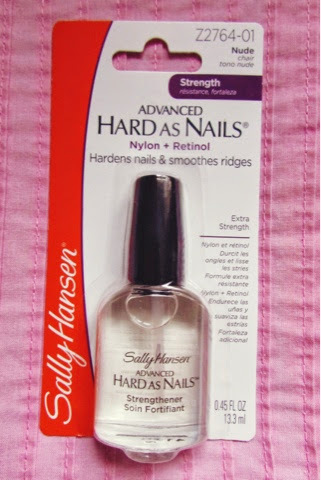 To try stop my nails being so brittle I'm going to test this out, it's €6, so not so bad, I had a similar Sally Hanson before but I felt it just left my nails looking naturally really shiny rather than strong. Anyways lovies, I'll keep you updated!